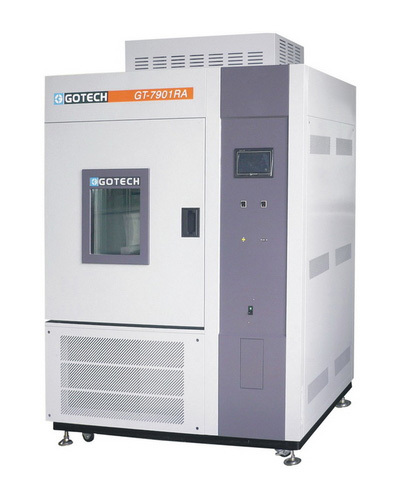 This machine offers an ozone and temperature controllable environment where rubber samples are tested for their resistances to ozone. Rubber products are being moved through a specified trace to measure their fatigue strengths. 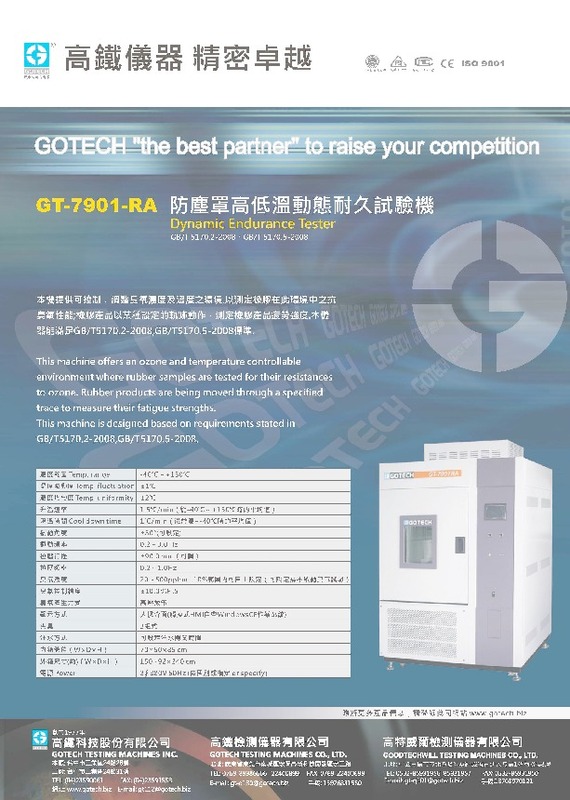 This machine is designed based on requirements stated in GB/T5170.2-2008,GB/T5170.5-2008.